Pompey have confirmed the signing of Ben Thompson from Millwall. The midfielder has penned a season-long loan deal at Fratton Park. Thompson bolsters Kenny Jackett’s central-midfield options as the boss looks to plot the Blues’ path into the Championship this campaign. The 22-year-old is a product of the Lions’ youth academy and moves to Pompey in a bid for first-team minutes. 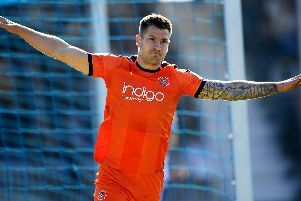 Thompson was a key player during Millwall’s 2016-17 League One promotion-winning side, featuring 47 times in all competitions. However, the Sidcup-born talent registered just eight appearances for the Lions last term, with only three of those coming in the Championship. Thompson becomes Pompey’s eighth signing of the summer and second loan arrival after David Wheeler.